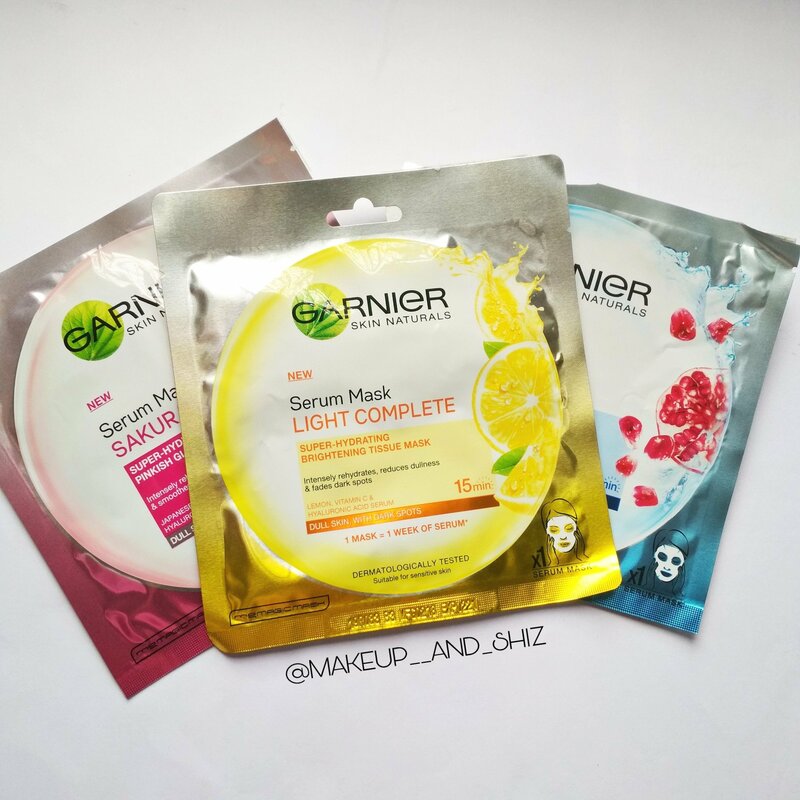 Garnier sheet mask — Review, India. If you are following me on Instagram for a long time, you would know I am a big fan of Garnier Anti Wrinkle Lift Cream. Hence I decided to try the Garnier sheet mask that recently got launched in India. And here is what I think about these. Read about : Garnier Wrinkle Lift Anti-Ageing Cream. It is available in three variants in India . MRP: Rs 99 per sheet mask. What does it claim ? It has a blue cover which you are supposed to take off after applying the mask. Hydra Bomb – The blue Variant. This is my personal favorite. Filled with amazing strong smell, which fades after 5 mins or so. It is extremely hydrating in nature. It gives a glow to your face like all other sheet mask. Your skin will instantly feel hydrated. You may or may not need a moisturizer after this, depending on your skin type. It feels sticky only for first 10 mins . Sakura white – The red Variant. This to be honest , didn’t hydrate my skin much . Neither it gave a pinky glow as it claims. I think it will be better for oily skin girls . But then you will have to put a moisturizer afterwards. Light comple – The yellow Variant. This literally did nothing. When I say nothing, I mean it. Neither hydrate my skin, nor gave me a glow or brightening effect as it claims. Plus it had a smell, which I didn’t like. Yes,I would definitely repurchase the Hydra bomb one. It has become my favourite. Yes, ONLY THE HYDRA BOMB one. You need to try the Blue variant once if you haven’t. Battle of Garnier vs Innisfree / The Faceshop sheet mask. Often I have been asked this question on Instagram, which is better Garnier or Innisfree , and Garnier or The Faceshop? Well, talking about the whole collection of Garnier to the whole collection of Innisfree or Faceshop, Garnier doesn’t stand a chance. But if we are talking about only the HYDRA BOMB , I think it stands at par with Innisfree and Faceshop. Also Read : Nykaa Skin Secrets Sheet mask Pearl + Hyaluronic Acid – Review. That was all for this post ! I hope you all like it. Have you tried them yet ? If yes, which is your favourite ? Follow me on Instagram.Click here. Previous FABEYA Cocoa Butter Cream — Review. Next Glamaroma Beauty – Coconut Vanilla Ultra Hydrating Face and Body Moisturizer, Review. I am at present 61. Hope Garnier mask will be fine.